Ninjas in Pyjamas are as much ingrained into the history of CS:GO as the game itself – with an inseparable four man core that have transcended the roles of players and become apart of the counter-strike canon. However legendary the names on and surrounding the NiP organisation are, industry figures were hailing the eventual implosion of the roster due to controversy surrounding the payment of player salaries and sticker money from mid-2015 onwards. This news also coincided with the largest slump in the sides history – with points in time where the NiP logo couldn’t be seen in the top ten teams in the world. Due to this maelstrom of organisational failings and lack of results, it was long hypothesised that the famous four-man core of: ‘Get_Right’, ‘F0rest’, ‘Xizt’ and ‘Friberg’, would go their separate ways. With talks of Get_Right making his way to America, and Xizt forming a Swedish team with his friends, this proposed end to NiP’s dynasty could be compared to the famous final scene of oceans eleven. However just like the Oceans franchise the NiP roster came back with a slightly different cast of characters and to initial community distain. 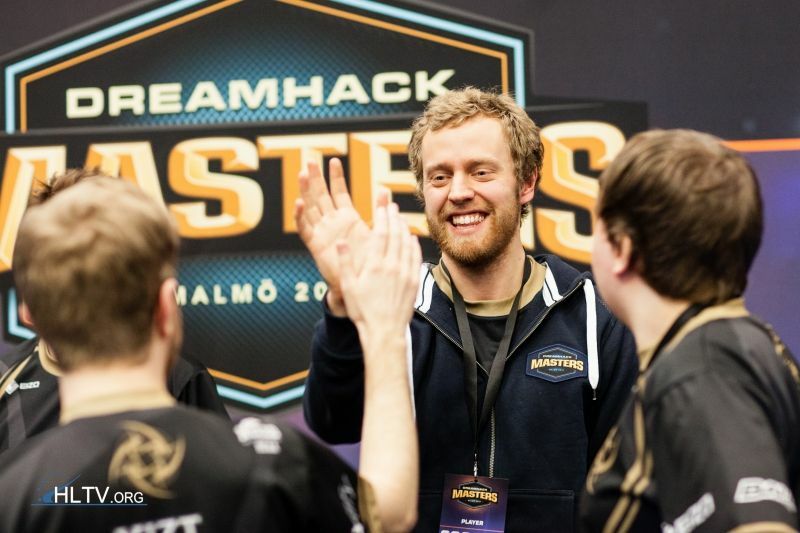 The young face of ‘pyth’ combined with 1.6 veteran player-turned coach ‘Threat’, was the eventuation of months of hype over the proposed overhaul of the NiP roster – with the four man package remaining as present as they were when they joined NiP in 2012. With these two new additions the community expectation was relatively low – and whilst these expectations might’ve been met with their 9th-10th place finish at IEM Katowice – their more recent results would suggest a resurgence of the Ninjas in Pyjamas. 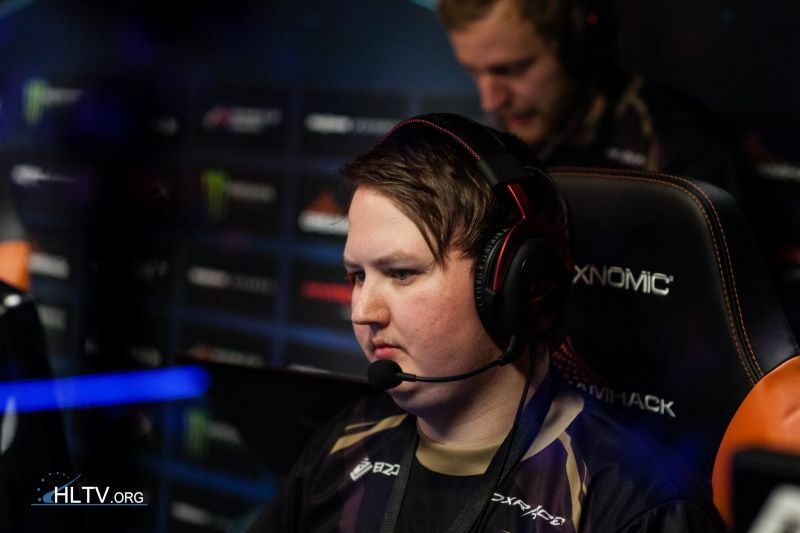 NiP have been infamously known since their inception, to have a very loose playstyle – free of heavy tactics and rather focusing on the individual talent and veteran game sense of the players. Whilst this overall system of play worked to cement the NiP roster as the undisputed best team in the world in 2012/2013 – when the individual talent of their players started to wane from its dizzying high – this system began to work the other way, and turn what was five players operating in a dissonant harmony of: roles, team-play and firepower into a confused broken waltz that refused to truly change. I say truly change rather than just change as it would be unfair to say that both the NiP organisation and players didn’t make an effort to try an adapt to a new era, however this effort to adapt never seemed to really transfer to hard results. The primary example of this being the inclusion of Finnish veteran ‘natu’ as the coach for the side from March of 2015 to August the same year. Natu is one of the great thinkers of the Finnish scene – having been a player since 2003, playing across all different variations of counter-strike, and also regularly appearing as an analyst on desk segments of a broadcast – to say the least, his reputation preceded him where he went. That being said he was unable at all to affect the playstyle of NiP in any meaningful way, with reliance on skill and individuality still reigning supreme as the system of play, despite his efforts as a coach. So after NiP’s 5th-8th finish at ESL One: Cologne 2015 -their worst performance at a major to date, natu left the org and NiP was left looking for a way to get out of their slump. This avenue for change manifested itself in the form of coach Threat at the start of 2016. Upon Threats induction into the side he “pretty much changed everything”, focusing more on “play[ing] slower, more executes, less ‘Yolo’… [and] stronger anti-ecos” as he said in an interview Simon Engstrad on Esports Aftonbladet on the 18th March. However this overhaul of the NiP system would not come into full swing until four months after Threats inclusion into the roster – at Dreamhack Malmo. Before Malmo little blame can be put on Threat and his coaching style, with their 9th-10th place finish at IEM Katowice being to early for the new system to come into effect and the playoff finish at MLG Columbus being achieved with Threat acting as a stand-in player for pyth. At Malmo with the side finally settled into their new system and playing in front of a roaring Swedish crowd – with the highest NiP Fan/m2 in the world – the Ninjas in Pyjamas began their triumphant return to the top ten and to winning international tournaments. After initially losing in convincing fashion to a strong Dignitas in a 16-2 game, NiP came back to beat the second best Polish team – Lounge Gaming, and face their Danish rivals Astralis in a Bo3 to get out of groups. In this infamous Scandinavian match-up the new-look NiP managed to best an albeit stale Astralis. With their pixel-perfect, slow executes on T-side, and recently in-form f0rest leading the way with strong holds on CT side – the Swedes managed to shatter Astralis’s confidence and beat them on Train with a 16:12 score line in the third map and advance to the round-of-8 in front of a home crowd. This best of three win was their second win over a top ten ranked team in over four months and not only did this victory confirm Astralis’s slump, but also gave NiP momentum which they looked to snowball for the rest of the tournament. With the furore of a Swedish crowd behind them not only did they dismantle Virtus.pro in a clean 2:0, flaunting their continually improving T-sides, but kept the ball rolling with an extremely tight 2:1 win over recently their improved domestic counterparts Godsent. The final boss – and king of second place finishes – Na`Vi looked to break this precedent and win their first 250k tournament over a new NiP. However just as the sun rises in the morning, Na`Vi failed to overcome NiP as their final hurdle, and in NiP’s close 2:0 win (with both games being 16:14) they quickly snapped out of their almost year long slump. It was apparent that after NiP’s first international LAN win since ESL One Cologne 2014 that they were a changed entity – a team that not only understood the system of tactics around them – but also had a clear spike in skill and confidence after winning some big series and games. A month after their Malmo campaign, the five Swedes flew to London to compete in the ESL Pro League Season 3 Finals – the eventuation of a successful online run where they finished first with a 19-3 record. At London they looked to compound their recent success and test their might against the less structured and more ‘pug’ focused teams that were present; and whilst they mightn’t had the same result as Malmo, they did reaffirm their presence as an elite level team. Starting their journey off with the help of a seemingly doomed/cursed/enchanted Team Liquid’s pattern of choking – being down 14:2 and following a coordinated effort from NiP, combined with a complete collapse from Liquid – ended the game 22:18 in the Swedes favour. Showing a strong demeanour against the less tactically focused North American sides – the even more loose and free Fnatic – with Wenton as a stand-in proved also to be no trouble, handily beating them 16:4. 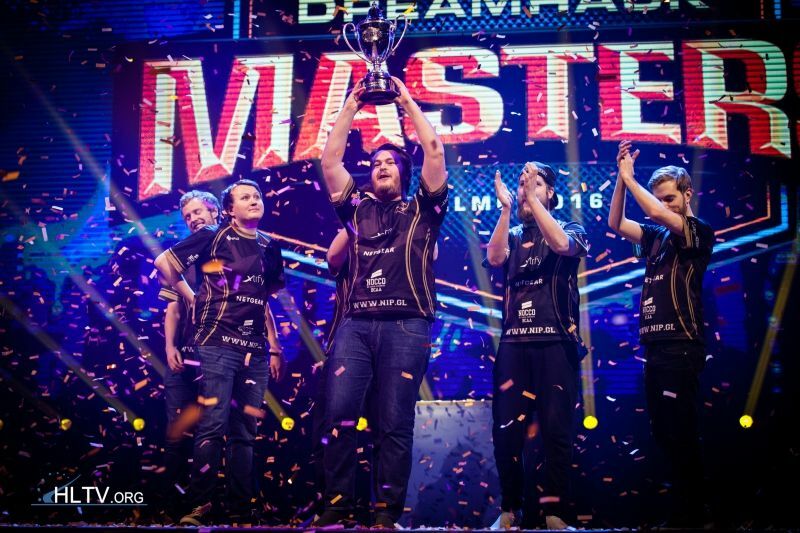 NiP’s journey in London would however come to an abrupt halt when they met the best team in the world and recently crowned major champions – Luminosity Gaming – in the quarterfinals. Not even the seemingly exponentially more revitalised, scary combo of Get_Right and f0rest could halt the non-stop train of skill and teamplay from Luminosity; and although the Swedes might’ve walked away with a semi-final finish it reaffirmed that Malmo was no fluke and that the new tactics and playstyle that is present in NiP was here to stay. NiP’s run back to fame is mainly attributed to a fresh new look on the game bought by Threat, however a key point to not is also how the also fresh new player pyth has been swept up by his teams recent success and also improved his own game significantly since his fruitless stint in North America. Although he might not yet be at the level of his teammates in terms of both veteran experience on LAN and in-game skill itself, considering that he is the youngest member of the team, and is still holding his own in games against top-tier opposition – is impressive in its own right. Furthermore due to his relative inexperience on the big stage, pyth has the most untapped potential on the team and in the long-term could end up developing into a strong player. That being said if for any reason NiP’s success starts to wane pyth will still be the first player that will be pointed out as the weakest link. However with their recent achievements at both Malmo and London, the resurged Ninjas in Pyjamas don’t seem to be exiting from the top ten anytime soon, and maybe with a strong showing in both the ELEAGUE playoff bracket and Dreamhack Summer, the world could once again see NiP as a top 3 team in the world.